Shimla or Simla is the largest city and the capital of the Indian state of Himachal Pradesh. It is located on the southwestern range of Himalaya and has an average elevation of about 2206 meters. The high altitude has made it one of the prominent places to visit in India. Even foreign tourists are compelled to revel in the beauty of the city and visit the city whilst in the country. 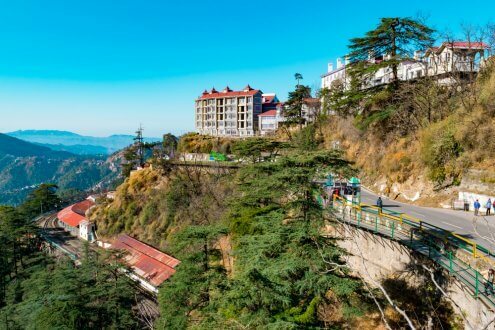 When you visit Shimla, you must add the main tourist destinations in Shimla in your city-tour list, such as Kufri, Mall Road, Christ Church, Wild Flower Hall, Ridge, Jakhoo Temple, Chail, Lakkar Bazaar, Tattapani, Himalayan Bird Park, Naldehra, Green Valley and Shimla Reserve Forest Sanctuary. Apart from that, you can also take a ride of toy train to Kalka from Shimla to explore the Himalayan ranges closely. Commuting within the city: To check out the tourist places in Shimla would require you take hire a taxi or drive your personal vehicle for travelling purposes. You hotel will help you book a cab so that you can enjoy your day-tour in Shimla. This majestic city also gives you the opportunities to experience the thrill of trekking on the Himalayan range and also camp out whilst on their way to the highest point in Shimla which is the Jakhoo Hill which is 2454 meters or 8051 feet high. This a great experience for a group of friends. 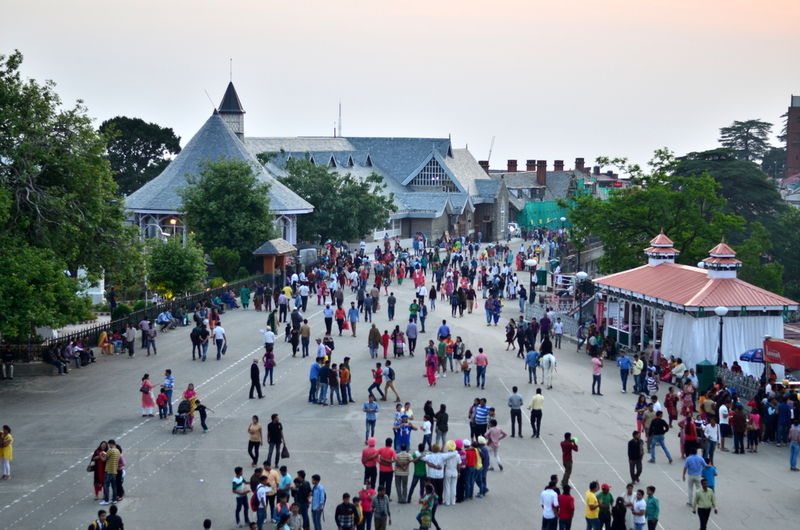 One of the most popular tourist destinations in Shimla is the Lakkar Bazaar. A trip to the city without visiting this colorful market won’t be wise. Therefore, it is suggested that you visit the market for some budget friendly deals and make the most out of your trip. 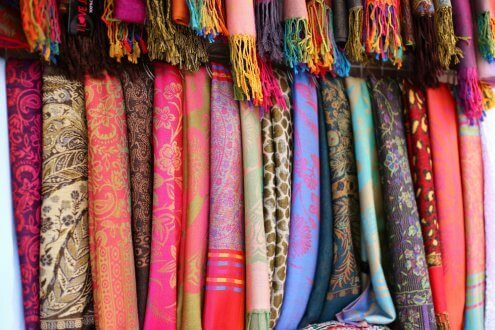 Whilst in the market you can shop for woolens, handicrafts, artifacts, Pashmina Shawls etc. you should also indulge in some local food such as koolfi and have the scrumptious chole bahture of a local shop named Sita-Ram. This is one of the famous adventure sports that you may want to try when visiting Shimla. For all the thrill seekers, this is a great opportunity to feel the adrenaline while enjoying the tranquility around. The river Sutlej flowing by offers you the great opportunity to enjoy the sport. It is a 12 km long stretch which takes you from Chabba to Tattapani in roughly two hours and allows you to challenge the aggressive flow of the river. 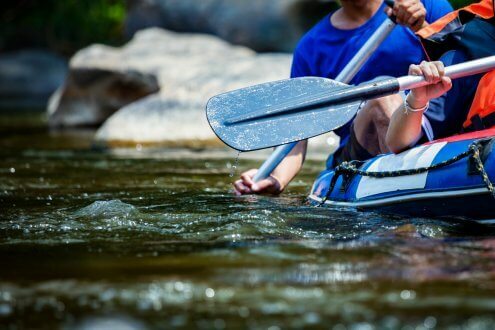 The best time to enjoy this river rafting sport is summer. 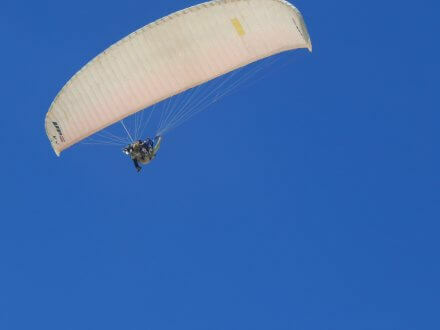 Another major attraction for all the thrill seekers is Paragliding in the city. The city has the perfect setting of hills which lets you enjoy the sport even more and allows the people to have their best time and get their flying dreams come true. This is mainly because of the unforgettable scenery that you will get to view once you descend down the hills and into the air. The famous paragliding spot in the city is at the Kangra Valley that allows you enjoy the majestic view of the hills. 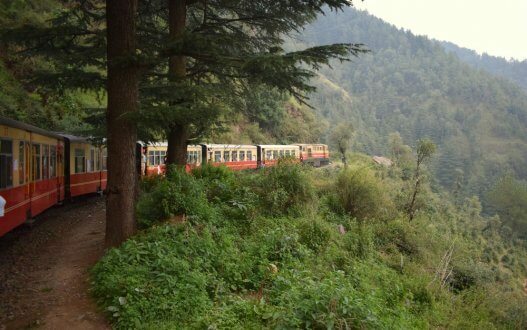 Again one of the major tourist attractions of the city is the Kalka-Shimla toy train. This is a 96 km ride which allows you to soak the peace of the hill station and also to take in the beauty of the nature. We can say that the train has also attracted the likes of many Bollywood movies with its steep tracks and snake like movements. A memorable experience! 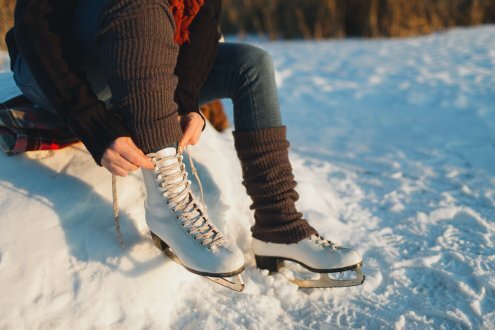 Another must to do while in the city is try your hand or rather leg at ice skating. This is a natural ice skating rink which is also one of the largest open air skating rinks in India. The best months to enjoy ice skating holiday destination in Shimla are between December continuing till late February. The weather during these months has clear skies which allow you to make the most of your adventure. 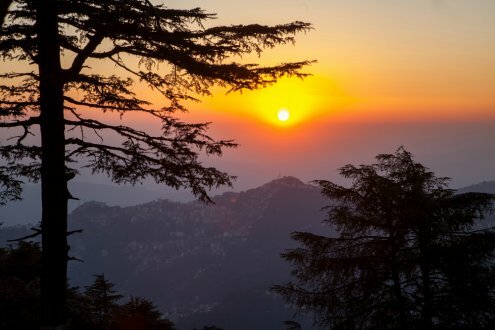 Another popular tourist destination in Shimla is the Shimla ridge. It is a famous spot amongst both the locals and tourists. This place is also known as the heart of Shimla, which is located along the Mall road. The sight of the ridge once it is snow-covered and when the sun begins to set is highly picturesque. By Air: The Shimla Airport is located at Jubbahartti which is 22km away from the main city. However one can get regular flights to and from the city of New Delhi to this airport. The nearest major airport is Chandigarh airport which is located 116 km away from the town. You can take a direct flight to reach Shimla, or you can also reach Chandigarh by flight and then book a cab to reach Shimla. By Road: There are various buses that travel from New Delhi as well as Chandigarh. Therefore, the bus routes help in connecting various cities to the city of Shimla. One could also drive by themselves having a long road trip just adding charm to the vacation. By Rail: Shimla has a small railway station that is just a kilometer away from the city centre. One could take that train to Kalka which is the railway head around Shimla. There are regular trains available to the station and also a main train line that runs from New Delhi to Kalka via Chandigarh. So Kalka is the nearest rail junction of Shimla, and you can book a train up to Kalka and then take a cab or private car to reach Shimla by road. So now you can book hotels online to visit Shimla and you can easily find some cheap hotels such as Hotel Kapil, Honeymoon Inn Shimla, Hotel Sidharath, Hotel Mayur, Hotel Shingar, Rajdoot hotel, Hotel Holiday Home, Aisa the Down Shimla and Hotel Diplomat Shimla. The town has an array of cheap hotels and lodges to choose from. You can choose the most suited hotel in Shimla for a comfortable stay.